If you're looking for that added flair for your game room, then these glorious game tables may be the excellent addition you're looking for. A good foosball table is the perfect piece of furniture that brings all walks of life together. An intense game of table soccer becomes a lovely memory fest when using the correct game table. 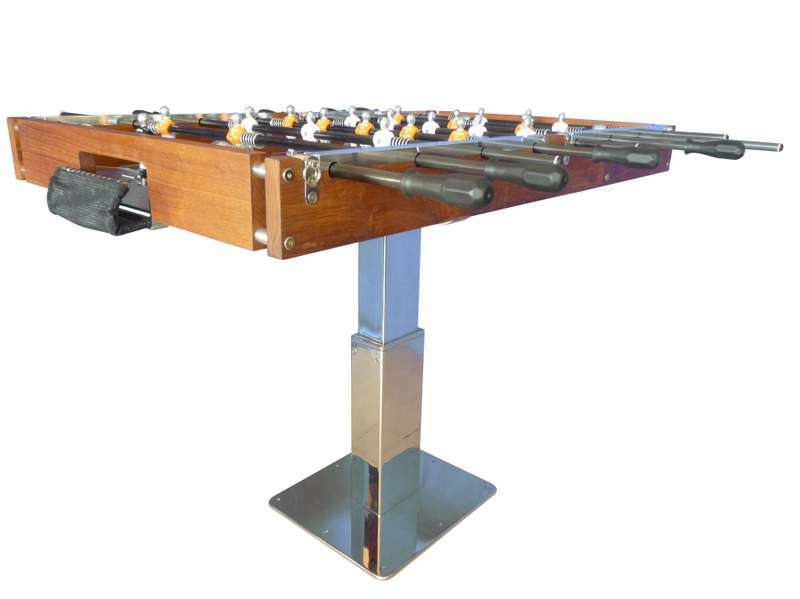 Luxury foosball tables equipped with crystal players and a sleek and swank design are perfect for a game room riddled with gold consoles or the latest gadgets. A 22 player foosball table is the kind of furniture you need if you're big on having the entire gang over for a tormentor to table soccer death. 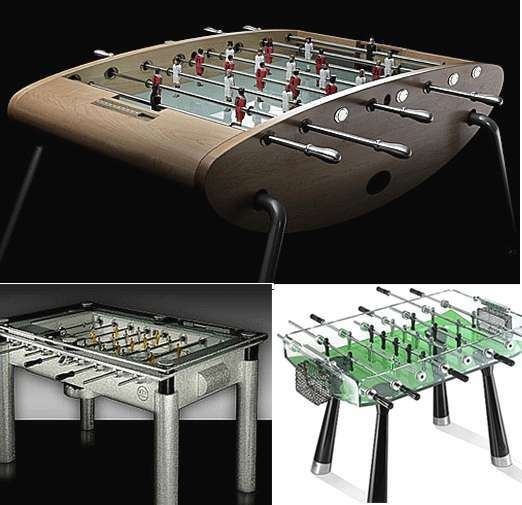 These dynamic foosball tables are a great piece of furniture for any game room.